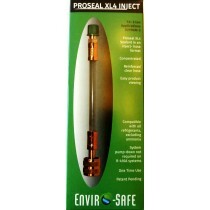 Enviro-Safe ProSeal is an epoxy product and was designed to repair minor leaks in the evaporator, condenser, connecting fittings, and metal lines.  ProSeal was created to save the consumer the burden of costly repairs in the form of replacement parts and expensive service labor. We recommend the use of Enviro-Safe ProDry before using ProSeal (to remove the moisture in the system and ensure the proper sealing). 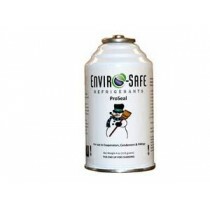 The 4oz aerosol can contains enough ProSeal to repair small leaks in a 3 to 4lb a/c system. ProSeal VS is a vacuum sealed can that is made for single use and may be used in most a/c systems such as R12, R134a, R502, and R22. 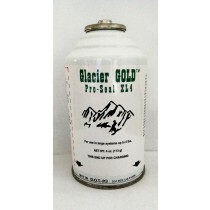 The 8oz concentrate is packed in a convenient size container for the professional a/c technician. Install with a universal dye/oil injector tool.